Teens have a lifetime of choices ahead of them. A caring and engaged community is essential to ensuring health and success for all teens. HOPE Buffalo provides that support.  HOPE Buffalo is the communitywide pledge for teen health and wellness. We are a youth and community-led movement wherein organizations and individuals work together to prioritize activities that promote lifelong health, including making sure young people have access to the information and care they need to make healthy decisions about their reproductive health. We believe that teens have the right to grow into the adults they want to be—whatever that means for them. We respect their right to make their own decisions and set their own goals about their health and future. And we will support them with an open door, an open ear, an open mind, and an open heart. When we improve the health of our city’s teens, we ensure a healthy future for the City of Buffalo and all its people. CAI is a mission-driven nonprofit organization that for more than 30 years has been dedicated to reducing health disparities by equipping communities, organizations and individuals with the knowledge and skills to improve access to, and the quality of, health, behavioral and supportive services worldwide. Our diverse, passionate staff, and our commitment to the populations we serve, drive us to innovate, educate and create positive change—fostering a more aware, healthy, compassionate and equitable world. GRANTS AND FUNDERS: Funder—HHS Office of Adolescent Health, Grant Number—6 TP1AH000106-03-01. Contents are solely the responsibility of the authors and do not necessarily represent the official views of the Department of Health and Human Services or the Office of Adolescent Health. The Community Action Team (CAT) is a group of local Buffalo community influencers, highly respected Buffalo community members and community-based organizations, working together to make a difference in the lives of Buffalo’s youth. Wellness Institute of Greater Buffalo & WNY, Inc.
► Click here to review minutes and information from previous meetings.